Ever wonder what happens at the end of an NCECA conference? Attendees enjoy wandering through the resource hall shopping all the NCECA sales, but eventually the conference ends, so then what? 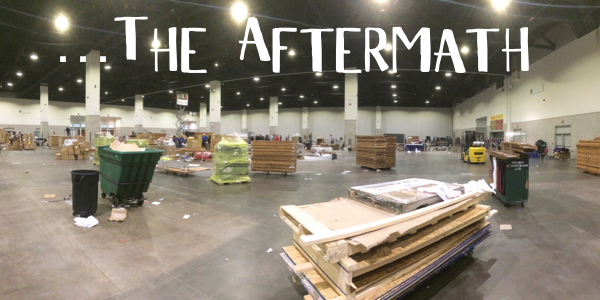 At 4:30 on Friday, all the commercial exhibitors dismantle their booths and pack up their products to head home. Often, that leftover product from the show goes to the local supplier, which this year, of course, is Brackers! Of course, the exhibitors are happy to not have to ship it back, so they give us special prices, which means we give YOU special prices! You can take advantage of some “NCECA Leftovers” with special prices on a variety of products from now through April 30th OR while supplies last. Click here to shop all the sales. Here’s a smattering of what’s available, at prices that are almost unbelievable!